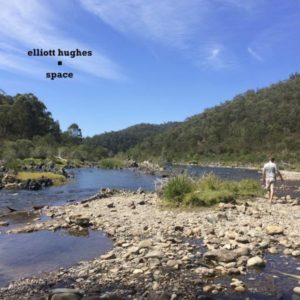 Elliott Hughes is a composer and trumpet player, creating new sounds across contemporary classical, jazz and electroacoustic music. I recently released this EP on bandcamp – and it’s free! Take a listen – I’d love to hear what you think…. 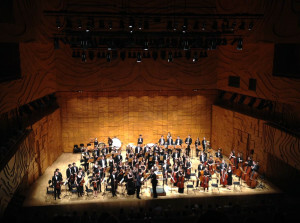 Recently I was privileged to work with the University of Melbourne Orchestra, conducted by Benjamin Northey. “Natural Light Below” was performed at the Melbourne Recital Centre and the City Recital Hall in Sydney, alongside scenes from Carmen, Liszt Piano Concerto 1 and Stravinsky’s Firebird. It was a phenomenal experience, I was extremely happy with how the piece was performed, and I take a lot of confidence from the reception it received. However, as always, I also realised some aspects of orchestration I should think more about. Perhaps the most striking experience was hearing the orchestra rehearse Firebird, then my piece. The masterful orchestration of Firebird left me quite aware of where my piece was lacking (in no way due to the performers!) and the need to reflect and evaluate the weaknesses in my technique. This was the first time I’d composed for a large string section. In fact, previously I had only written for 9 strings; this time I had 12 1st vln, 10 2nd vln, 8 vla, 6 vlc, 5 db. I really didn’t appreciate the strength of a full section, especially when trying to use woodwind colours in conjunction with loud full strings. I also feel like I overused the 1st violins, giving them lots of melody, tutti arco, rather than explore the viola or cello sections. That would’ve given me a bit more contrast in the piece too. I also think I should try a wider varitey of bowing techniques and sounds – try to get more out of the large section. Under-use of brass – give them melody too! Whilst I was happy with what I wrote for the brass section, I feel like I could’ve used them twice as much! Strange considering I play trumpet… but I think to my favourite orchestral pieces and the brass are far more present than in my work. Also, I tended to shy away from giving the brass a lot of long melodic phrases, even in climactic moments. 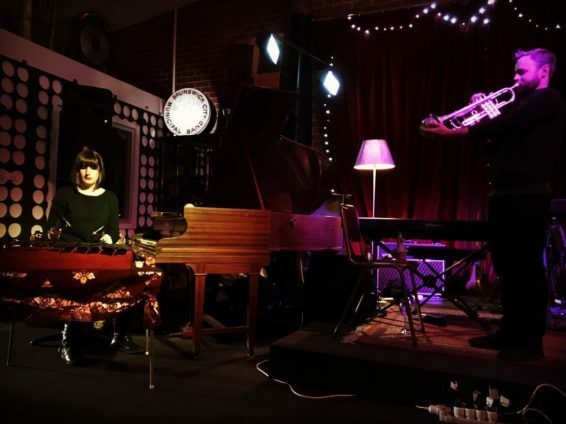 In the piece I used xylophone, glockenspiel and vibraphone, and have written for marimba in chamber music previously. It is only after this project I appreciate the large difference in how the instruments can cut through the orchestra or be washed out, how much difference mallets can make, and how carefully I should describe the sound to the players so they can choose the right mallets. Allow more time for large, strong sections to dissipate. I think leading up to a climax it was paced fairly well, but the retreat was rushed, and not probably could’ve stayed longer at the peaks. This comes back to how I use a full string section. Leaving strings out completely, or using solos to colour other sections would be a good way to get more contrast out of the orchestra. Dynamic markings keep me up at night. 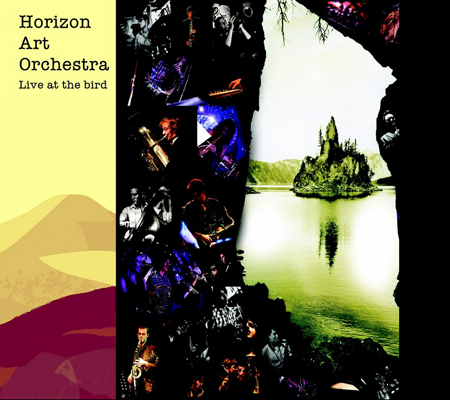 Perhaps I should think on multiple levels – what dynamic do I want the audience to hear, how thick is the orchestration; then what dynamic does each player need to get that effect, and what part needs to be at the foreground. But also, what is the shape of the larger section, where is it going, where has it come from? Then address each phrase, each instrument. Especially regarding long bowed notes: should they sustain, cresc, dim, or swell? How much and when to add vibrato or non vibrato? Adding other colour? Just because you start one note one way doesn’t mean it should finish the same way? While I was very happy with the overall sound world, sometimes I felt it could’ve been even deeper explored. Each new sound could perhaps be extended that little bit further, given a little more time, before adding a new sound or contrasting it against another sound. With so many options it’s easy to find the next one, but less satisfying for the piece itself. 2015 is already looking busy busy busy! In January, I took part in a week-long conducting workshop at the Melbourne Youth Music Summer Camp. 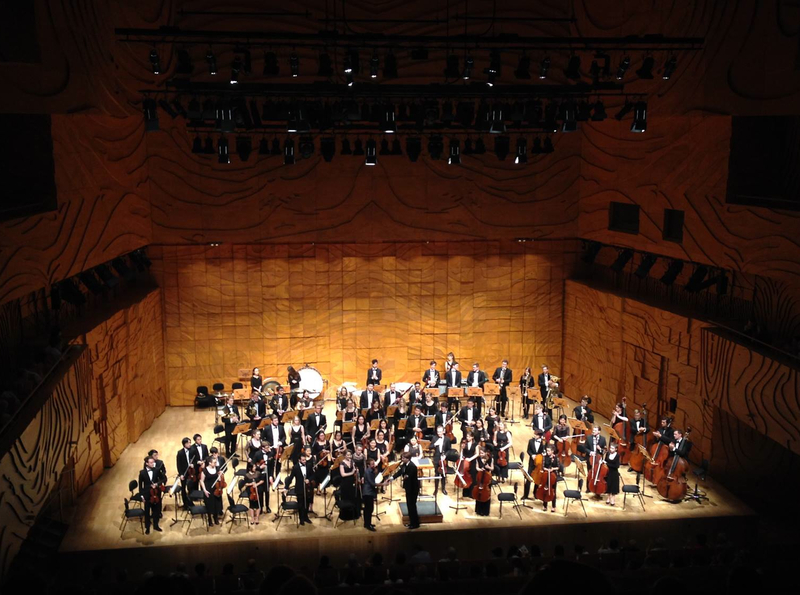 Directed by the outstanding Australian conductor Luke Dollman, 12 young conductors had the chance to conduct an orchestra every morning, covering repertoire from Mozart, Wagner, Stravinsky, Strauss and Sculthorpe. I learnt a huge amount and grew much more confident on the podium each day, and is something I would recommend to anyone interested in taking on a baton. 2015 will also see me travel to the USA to work with Brad Linde at the Washington DC Jazz Festival. We will be putting on a concert of my big band music, featuring some incredible musicians from New York, Washington and Canada. Currently we are looking to book some other shows in New York City and Baltimore too. Compositionally, this year will be busy with orchestral and chamber music commissions as I finish up my Masters degree at the University of Melbourne. First, I’m writing a piece for the University of Melbourne Orchestra, conducted by Benjamin Northey, to be premiered in October and performed in both Sydney and Melbourne. Following that, I’ll be writing a piece for trombone choir to be performed in Hong Kong, at the 2015 ‘SliderAsia’ brass festival. The brass students at Melbourne Uni will be performing this one! Finally, I’ve been asked to write a new work for Ensemble Three – for trumpet, trombone and guitar, also featuring electronics. Don Immel, Joel Brennan and Ken Murray make up Ensemble Three, and I can’t wait to work closely with them in creating this work. Also I’ve been given free rein to use electronics and MaxMSP, something I really enjoy.